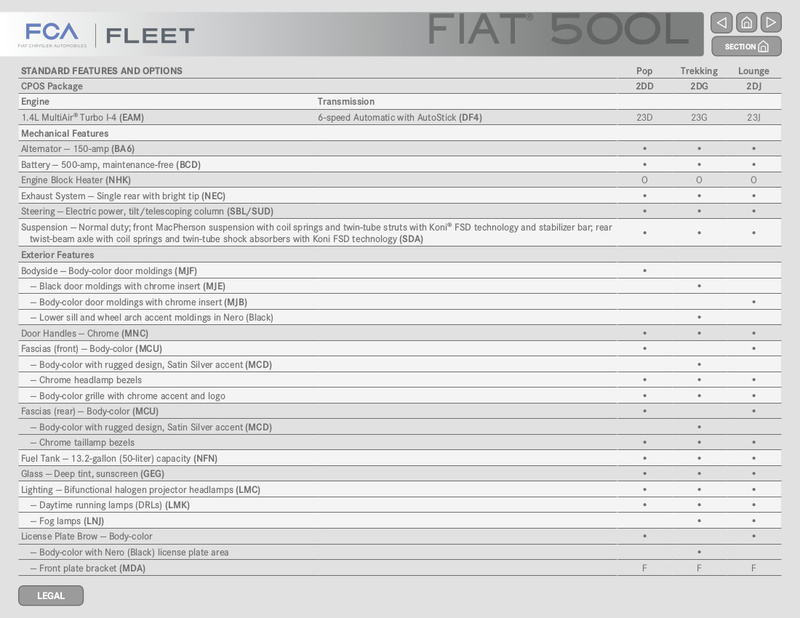 Specifications brochure for the 2017 Fiat 500L with a 1.4L turbocharged 4-cylinder engine. Option groups include the Pop, Trekking and Lounge. Specifications, options, and packages are listed within these pages which is part of the 2017 Chrysler Fleet information package released in late 2016.